In our endeavour to meet individual resident requirements a member of care staff is allocated to each resident as a 'key worker'. This is undertaken within the first week of a resident's stay - however, if a resident wishes to change their key worker at a later stage this can easily be arranged. The key worker acts as a focal point for the resident and their relatives/visitors and will try and ensure that the resident's personal requirements are not overlooked in the busy day-to-day environment. To assist staff in this direction the key worker and the resident (with the help of a relative/friend/social worker) will contribute to a resident Care Plan. 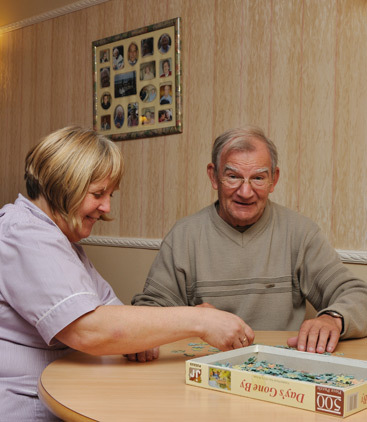 The Care Plan specifies in detail the care a resident requires (physical, social, emotional, cultural, spiritual etc) so that all the staff are aware of the resident's own choices, preferences and needs. It is then the responsibility of the staff and key worker to update the Care Plan as and when required. A formal review of a resident's progress will also take place and this will be explained in greater detail prior to admission.